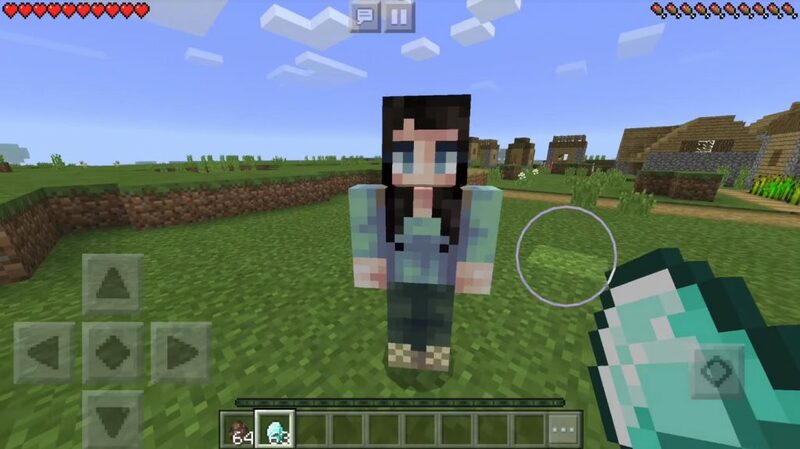 Now in the world of Minecraft PE you can have a girlfriend! 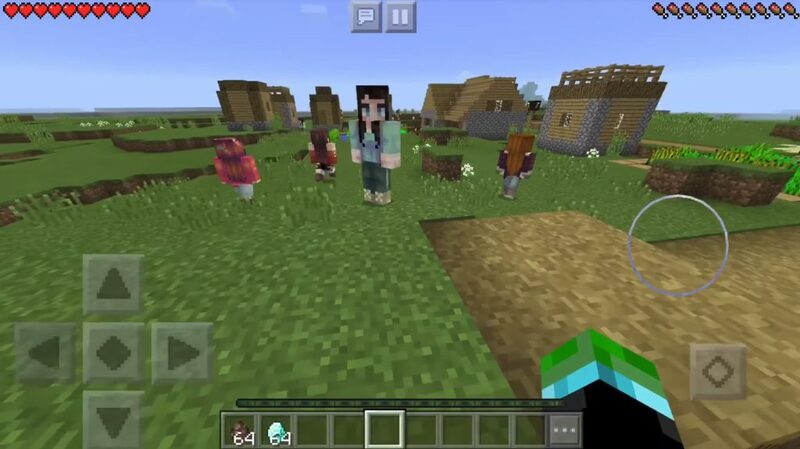 Mod Girlfriends for MCPE turns all village dwellers into girls. If you have a diamond, you can even marry one of them. You will never be alone in Minecraft Pocket Edition. Your new companion will automatically follow you and may even suffer some things. 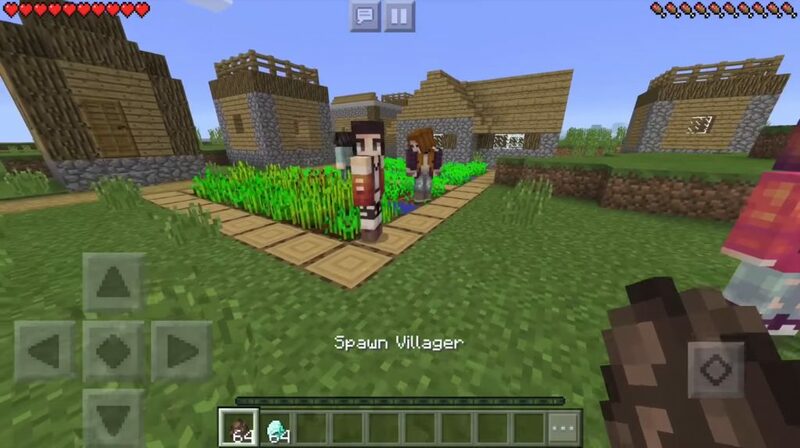 Now in the villages of Minecraft PE you can find yourself a girl. Once you liked at least one of them, feel free to ask her to marry you. Give her a diamond ring (this is an ordinary diamond) and she will definitely agree! As soon as she accepts the offer, you will see several red hearts around her, which means that sympathy is mutual. When you are married, you can not leave your wife. She will always follow you. In addition, this mod for MCPE has an infinite number of hearts of health, which means it will never die. Thus, carefully choose your choice. The only way to break off relations is to sign a divorce (give her an emerald). If you do not want her to travel with you on a new journey around the world of Minecraft Pocket Edication, you can ask her to stop. You can sit on the shoulders of your girlfriend, but she will not move an inch. But I do not understand yet, for what it’s done! In addition to the fact that your girlfriend is a good and loving companion in the world of Minecraft PE, it is also very useful. For example, you can get her to carry your things. (27 slots available) Sit on your girlfriend and click the Open button to open the inventory. If you want to read your marriage contract, find a wife and give her a book. Back You will receive an empty sheet of paper. I think you can imagine what she can say. Or maybe you want to get a harem in the world of Minecraft Pocket Edition? Oh, no problem! You can marry several girls at once!